March 14, 2015 March 16, 2015 ~ Trevis Dampier Sr. If you have ever been to The Brit; the menu reflects all the different types of bar food that go great with beer. Hamburgers, ribs, chicken strips, chicken wings, etc. I usually like having at least 2 beers when I am out for drinks, so having a heavy hamburger usually leaves me feeling sluggish rather than a nice hand held snack to complement the beer. Our favorites are the dry rub chicken wings and the fish and chips. 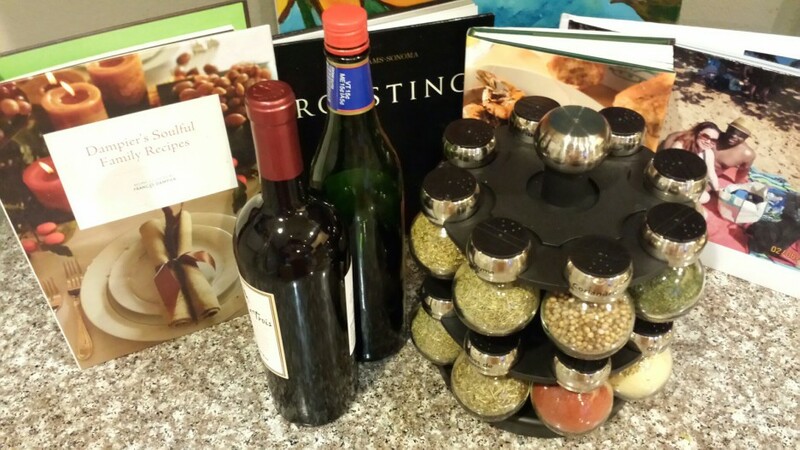 These items just go great with beer and it keeps the calories down. Anywhere we go for drinks, it’s hard finding a good fried fish. Sometimes it is too crunchy or too dry. Some have no flavor at all. 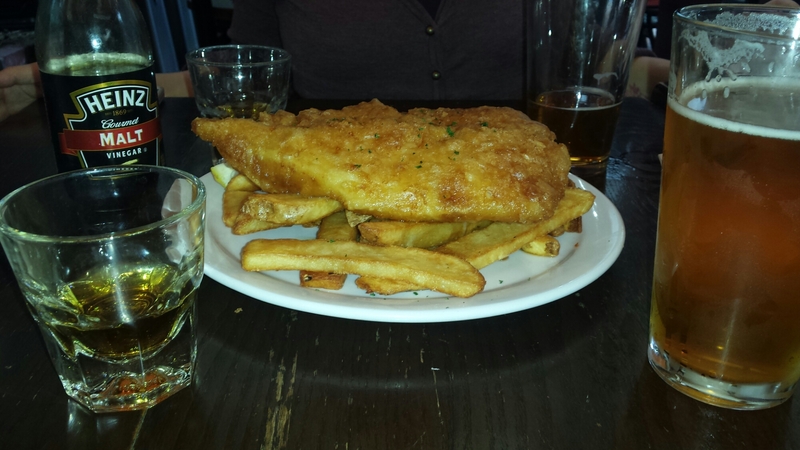 The Brit does a great job with their fish and chips. The batter is fluffy and has a slight crunch to it while the fish is tender and moist. The size of the fish almost fits the entire plate and it goes great with a slight squeeze of lemon and malt vinegar on it. I love my fish with hot sauce so make sure you have that readily available. Nothing beats having a spice filled palette with a lemony after shock and then having a sip of an ice cold carbonated beer. Nothing to it but to do it! Time to do some shots! Cheers!! Thanks for joining us on this exciting adventure! I look forward to seeing you on the next run! Keep hope alive! < Previous If you catch an Ox then do it by the tail!! Next > Happy St. Patrick’s Day! !